There are always options available to people in financial distress so don’t just jump at the first one you see because it appears quick and easy. There comes a time in everyone’s life when the unexpected arises and we need to quickly find the cash to cover the emergency. Whether your vehicle is in need of immediate repair, your lights are about to be shut off or your child needs medical attention, you may find yourself in a situation where you need to come up with several hundred dollars in a short amount of time. 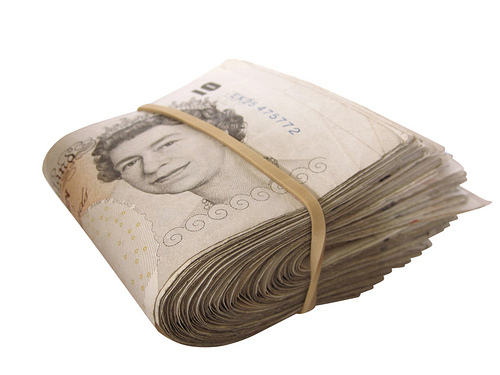 Payday loans are the first port of call for many people in an emergency. However, with these it is easy to get caught up on the treadmill of monthly rollover repayments, just getting deeper and deeper into debt with no way of ever paying it back. There has been a huge amount of negative press recently about the payday loans industry. Many campaigners and government officials are trying to get them banned entirely or at least give them much heavier regulation. Much of the criticism comes from the very high APR rates that we all see every day advertised on the windows of city center money lenders. Although some people feel that they have absolutely no choice when it comes to taking out a payday loan, there are actually some alternatives that might be worth considering. 6. Don’t Borrow the Money at all! A logbook loan, or pink slip loan, is a great alternative to a payday loan if you own your vehicle outright. To take out a logbook loan, you simply find a lender and apply for the amount of money that you need. Your lender will have you sign a piece of paper that states they may take immediate possession of your vehicle should you fail to fulfill the terms of your loan agreement. If you still feel that you have an option but to take out a loan then it doesn’t necessarily need to be payday loans. There is a similar type of loan for people with bad credit but the difference is in the APR rates. You are likely to pay a much lower APR rate at a title loans or logbook loans lender than you would with a payday lender. The reason for this is that these are loans secured on your car (or other vehicles) meaning that the creditor has an asset acting as collateral on the money borrowed. Firstly, the lender is now happy to lend to people with bad credit because if they don’t repay the loan then they can legally lay claim to the vehicle to recoup their money. Secondly, the interest rates don’t need to be so high because it is now a secured loan. And finally, you are able to borrow a much bigger sum of money because it is secured on your car. With UK logbook loans you can normally get up to 50% of the value of your car. The biggest concern with a loan like this is that if you fall behind in your payments you may lose your car. So this might not be the best option for everyone – it depends on how confident you are that you can repay the money on time and in full. If you wait a week or two for your money, there’s nothing wrong with asking your employer for a few hours of overtime in order to see the money on your next paycheck. If your employer cannot provide you with extra work hours, consider taking on a part-time job or even working from home. While working overtime may not be feasible if you need immediate access to cash, it can be a great way to start building an emergency savings account. There are very few creditors who will not work out payment arrangements with their customers. If you find yourself on the verge of having your utilities disconnected, your vehicle repossessed or your home foreclosed upon, contact your creditors immediately. Do your best to work out a repayment plan that you can afford and stick to that plan. If you can do this, you’ll be in a far better place than you would be had you taken a payday loan. If you have a credit card with a high balance in your wallet, consider taking a cash advance in order to pay for your emergency. While cash advances from credit cards can be expensive, you have the benefit of being able to make small monthly payments over time. If you have things of value lying around your home, you may want to consider taking them down to the pawn shop or listing them on eBay. While it may be difficult to part with your belongings, it can be easier when you consider that you won’t be beholden to anyone for large sums of cash. While it’s never advisable to sell your wedding ring or your grandmother’s China, you may be able to live without your collection of sports cards. If you do decide to sell a belonging or two, make sure that you don’t sell something that you’ll regret not having held on to. No matter how much we like to think that we’re immune to the unthinkable, the truth is that emergencies do happen. If you aren’t prepared to pay for these emergencies, you may think that you have no choice but to take out a payday loan. Fortunately, the five ideas above are very real options for an expensive payday loan. This may sound flippant but if you think about it, most spending is on things we think we think we want, and not on things we know we need. Most people who go to these bad credit lenders want the money to buy things like holidays and new toys they think they can’t live without. Then, of course, the initial high from buying the new product wears off very quickly and they are back at the store buying more stuff they don’t need. And in the process, they max their credit card meaning that they have so much debt repayments to make that in the long run that they can afford to buy even less of the shiny new toys they say they want. So, what many personal finance experts recommend is that you think carefully before every purchase and give yourself a cooling off period. For example, when you decide that you want to buy something then you are only allowed to buy it after e.g. a week‘s time. This gives you some time to decide that maybe, after all, you don’t actually need this product and merely wanted it on a whim to make yourself feel better. The downside of this technique is of course that if poor willpower is your problem then there is probably no way you can get yourself to do this. In situations like this, it is often useful to have an accountability partner, someone you know who you have to report back to regularly, and who will encourage you to stay strong. One way around this problem is to never go shopping with your credit cards. That way you cannot be tempted to buy something impulsively, and if you do then you will have to use your debit card or cash which feel real in a way that credit card spending does not. With credit cards, it never seems like you are spending your own money. But of course you are, and you are also signing up to paying much more than the item actually costs. The major problem for this technique nowadays is the fact that most people have the internet at home, and it is even easier to make purchases we can’t afford while lying in bed with our laptop! If you absolutely have to get the cash to pay a bill or some emergency expense then that still doesn’t mean that going to any sort of money lender is the best idea. It might be possible to borrow the cash from someone you know, therefore meaning that you will avoid the huge interest rates that the lender slaps onto the sum borrowed. It is not also the initial interest rate payments that you have to be concerned about. You also need to consider that if you don’t clear your debt by the end of the month and roll it over into next month then the principal amount borrowed goes up, and therefore you are paying even more interest than you were the first month. There are many campaign groups trying to get a cap on how often, and for how much, the lender can let you do this for. The flip side of doing this, however, is that if you don’t repay the money then you may lose a friendship or split your family in half, so you must think very carefully about this before going down this route. When you do pay the money back you can feel free to slap an extra note on top to say thanks – it will still be cheaper than giving the extra to a payday loans company.